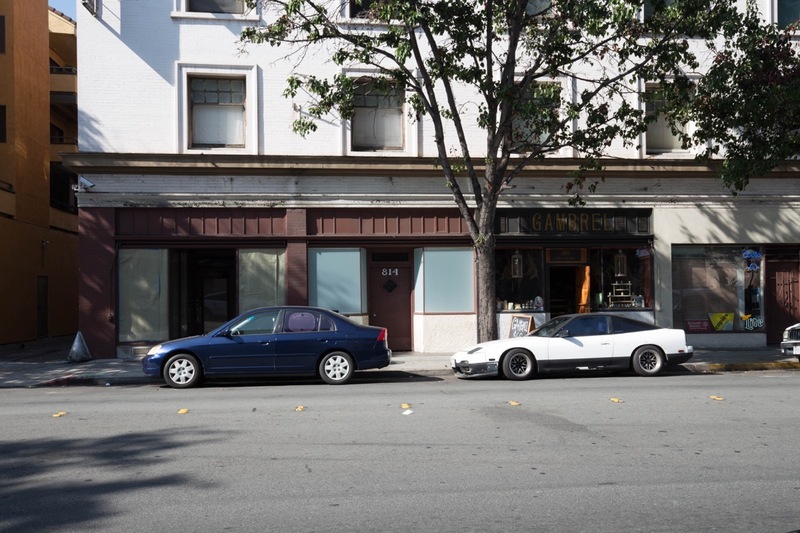 Although over the last several years there has been little to lure people to Redwood City’s Main Street, I’ve been rooting for it, hoping that it will finally regain some of the respect that it once had as one of the key streets in downtown Redwood City. Although a walk along Main Street today will reveal that just about all of the storefronts are occupied, many are being used as offices, and thus hold nothing of interest to the passerby. Some time back the City Council recognized this fact and decreed that ground-floor storefronts along Main Street between Broadway and Middlefield Road be occupied by retail businesses (restaurants and stores), but existing offices in those spaces are allowed to remain under certain conditions. Thus, someday in the far future the primary downtown segment of Main Street may once again be a retail powerhouse — but it’ll take a while. Fortunately, the big project currently underway at 851 Main Street should bring a rather nice-sized, high quality retail space to Main Street (previously there were a couple of somewhat tired-looking restaurants there). For that reason, and because the retail space will occupy the portion of the building that was deemed historic (and is therefore being preserved), I’ve been watching the building project with interest. All of the non-historic portions have been cleared away, and the historic storefront, back wall, and one side wall have been carefully preserved so as to not be damaged during construction. I find the preservation aspect of this project particularly fascinating. Between the traffic barriers and the construction cloth covering the chain-link fencing above those barriers, if you just drive by the site it’s a bit hard to see just what is going on. Fortunately, pedestrian access along the front of the construction site has been maintained, allowing people like me to get a good look. The above picture shows what the site looks like today. Notice how the glass windows and doors have been removed from the storefront, and how the remainder has been carefully covered with wood so as to protect the historic tile up top and the wooden wainscoting down below. Above the large openings there was a transom window that may or may not still be there beneath the protective wooden coverings; if the transom windows are not there, they likely are being restored and will be reinstalled later in the process. 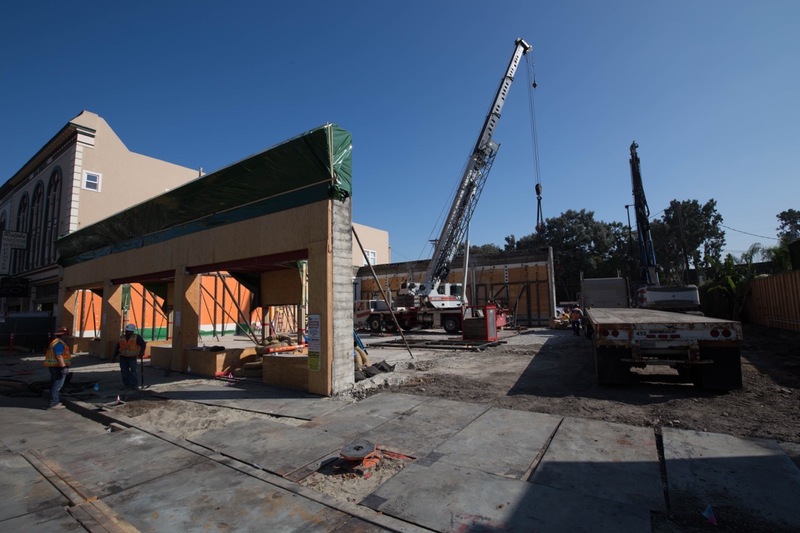 Shifting to the back wall, note the plywood being used to protect the wall’s surfaces and the steel frames being used to ensure that the wall remains intact during the construction process. It appears that the white crane is being used to help hold up the back wall: two cables appear to run from the crane to anchor points on the wall’s free end. I can imagine that without the building’s fourth wall, and without rafters connecting this back wall to the one in the front, the back wall could easily be knocked over. Thus the crane, I presume. Similar steel structures are being used to protect the remaining side wall, which stands up against the next-door IOOF (Independent Order of Odd Fellows) building. As I was walking around the area, I noticed a somewhat hopeful development at a small retail space across Main Street: the small storefront at 816 Main Street, two doors down from Gambrel & Co. and, like that business, within the historic Sequoia Hotel building, now has brown paper covering its windows. As well, the previous tenant’s signage, which was simply painted on the storefront’s windows, has been removed. This is a significant development, I believe, because the previous business at this location — Deja Vu Antiques Dolls and Bears — closed more than six years ago, and since then the store has just remained as it was, with a handful of old dolls and bears in the window gathering dust. I have been walking by this store for years, and have never seen any signs of activity until now. Brown paper in the windows isn’t much, but it signals that someone is finally paying some attention to the space. Too, the space between this one and Gambrel & Co., which has been sitting idle for even longer — it was a bar called Sport Club, that closed at the end of 2008 — used to have a “for lease” sign in the window, but that sign is now gone. The white paper that for years has blocked up the Sport Club’s windows is still there, it seems, but I’m starting to wonder if someone is finally showing interest in either one or both of these two small storefronts along Main Street. Gambrel & Co. (a “craft butchery”) has been doing a good business in their 810 Main Street location for a couple of years now, so perhaps someone is taking notice. 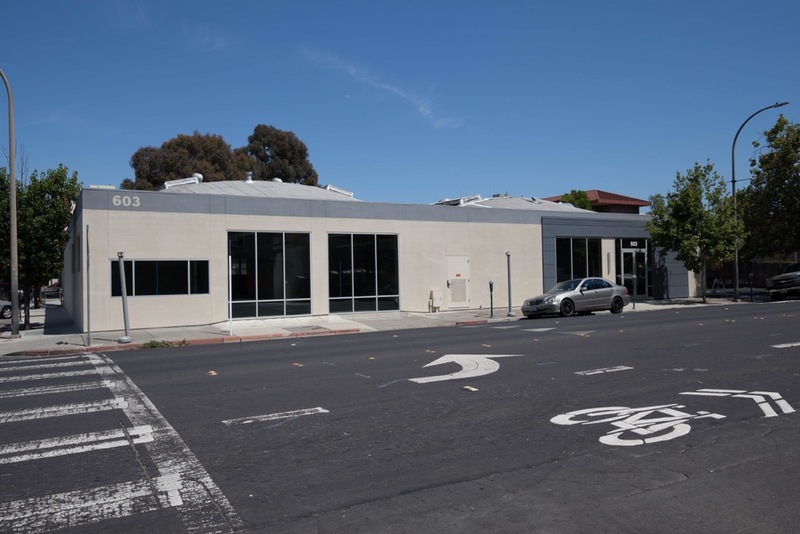 I would love to see retail businesses in one or both of these locations, which are just a couple of steps around the corner from Redwood City’s Broadway — which, thanks to a number of popular restaurants, is full of life most days and evenings. In the above picture, the antique store was on the left, the bar was in the middle (where the windows have been covered with white paper) and Gambrel & Co is on the right (behind the white car). To the right of that, you can just see a bit of a small market and liquor store that is also within the Sequoia Hotel building (whose rooms are above). 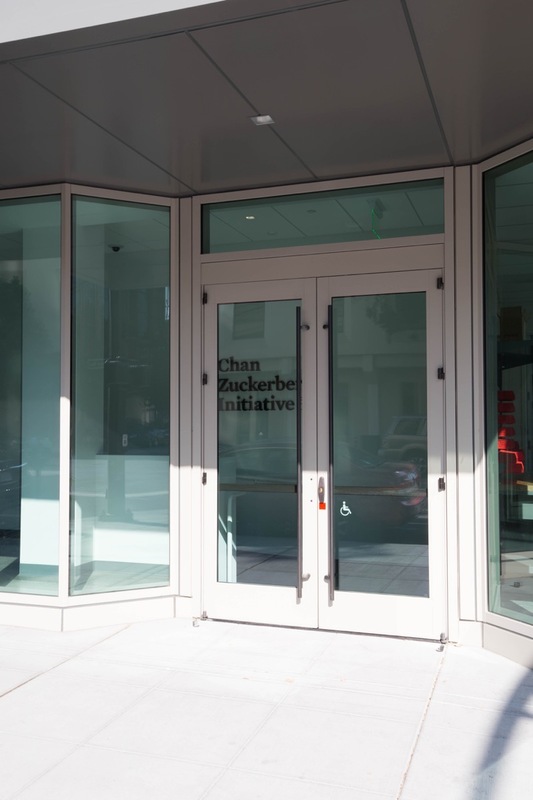 It seems that The Chan Zuckerberg Initiative is already up and running in Redwood City. I don’t know how large the company is at the moment or how much of the building at 601 Marshall Street they are currently leasing, but the sign affixed to the back wall of this lobby indicates that they now have a downtown Redwood City address. Presumably they will move from this building into Broadway Station once it is complete; my understanding is that CZI has already signed a lease for space in that building. The two are only one block apart, however, so if they do move at least it won’t be far. Before it was occupied I speculated that perhaps a small tech firm would be moving in, and it turns out that I was right. Although there are no large signs on the building, one of the entrance doors (at the right end of the building in the above picture) displays the company name in small letters: UnifyID. UnifyID, which apparently had been based in San Francisco before moving to Redwood City, has developed smartphone software (for both iOS and Android) that authenticates users with, they claim, 99.999% accuracy. The building at 603 Jefferson Avenue is not in an area where people typically walk, so it isn’t a problem having a tech company here instead of a retail establishment of some sort. I’m just glad to see that one or two (or three!) retail spaces may be coming online relatively soon along Main Street, bringing establishments that will lure more people to the area and thereby encouraging more landlords to restore their storefronts to retail use. Main Street has the potential to be as popular to nightlife-seekers as Broadway currently is in Redwood City, and I’m excited to see any activity that helps it move in that direction. The Patch has put together a 2018 Halloween Event Guide that covers the entire peninsula, from San Francisco to San Jose. It lists several events in Redwood City, San Carlos and Woodside; if you are one who loves to celebrate Halloween, you might want to check out their list and see if any of the events appeal to you. Thank-you, Greg, I always enjoy your reports! Now, on another subject: do you know who the tenant will be in the new building across the street from Box? We saw that there were cars parked in the new underground lot under that building. Interestingly, the lot is gated so that cars can go from the new part into the movie theater garage, but not the other way! Is that the final plan? How do we get to that parking? If you know anything, please tell. As for the parking, the public should have access to it soon, but only on nights and weekends. I don’t know the actual mechanics of the garage: I presume you’ll go in either from the Hamilton Street entrance or via the connectors from the Jefferson garage. I do know that you will be able to exit from the Jefferson garage via this new garage (and thus out onto Hamilton, rather than Jefferson). The gate that is there between the two garages should be open during nights and weekends once the new garage is up and running. I just talked to a friend who used the new garage last Friday, so it is open. He did say that there was a lot of confusion: he went in the Jefferson garage and discovered that it was pretty much full, so he went through the gate (which was open) to the garage beneath 889 Winslow. After their show, they came out and tried to go back through to the Jefferson garage in order to exit, but the gate between the garages was down. And it turns out that there is little or no signage in the 889 Winslow garage indicating how to get to the Hamilton Street exit. Once they found that, their ticket worked to get them out, but others seemed to be having trouble. So it seems that there are a few kinks to work out — but the garage beneath 889 Winslow is indeed open to the public during non-work hours. I read in the Daily Post that Kris Johnson and Woodside resident Geoff Carr were behind the threatened lawsuit that ultimately killed the 91 condo units planned at 603 Jefferson. 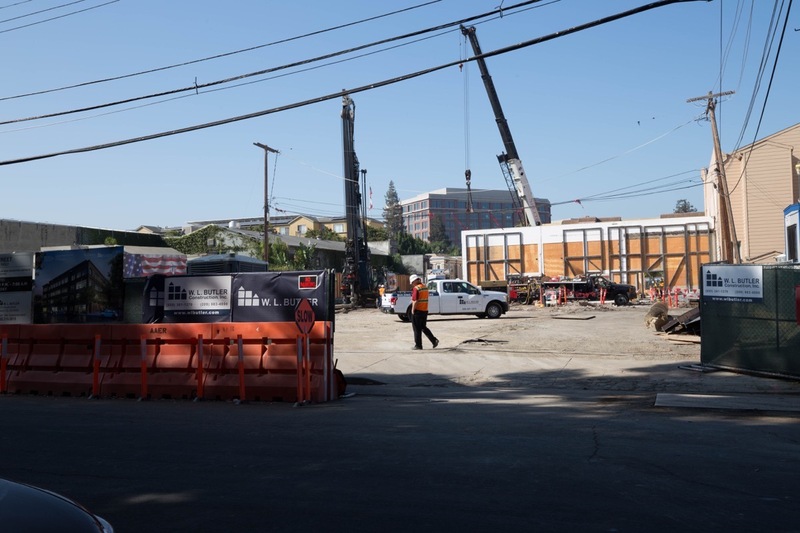 Bummer that instead of some nice new downtown housing for people, we’re stuck with an ugly old squat 1-story building housing more highly-paid tech workers and adding to our jobs housing imbalance. Sad when very comfortably-housed and unelected citizen “planners” seemingly make a hobby out of subverting the public process using threatened or actual “environmental” (CEQA) lawsuits this way. Ohhhhhhh, the horror. Of the 26 housing projects since 2010, this was the first one canceled by the developer despite getting approval from the City and despite reaching an agreement with the litigants. It’s a shame Adrian doesn’t put an equal amount of effort fighting for affordable and workforce housing than he does for his incessant push for more market-rate housing. And finally Adrian, the endless name-calling is not very becoming nor mature and does absolutely nothing to advance your efforts. Oh, Adrian…I was talking about twenty-six *high-density* housing projects equalling 4,500+ units. You and I both knew that. That is an unprecedented rate of housing production for the same period of time as compared to any community between Sf and SJ. So go ahead and try to convince folks that we should be building even more market-rate units. Should they believe you or their lying eyes? Gregg, as one has come to expect from you, yet another informative blog post. 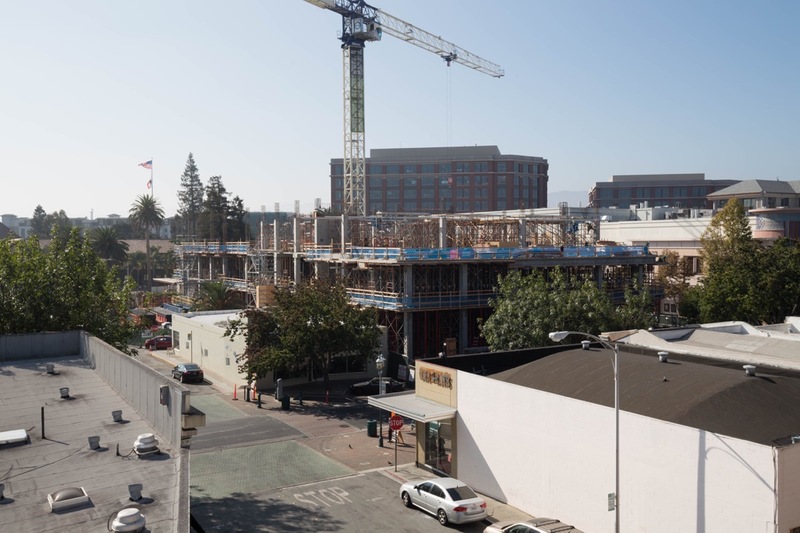 The peculiar second floor retail in the Broadway Station project is due to the fact that we reached the cap on office space in the Downtown Precise Plan (DTPP). As a condition of approval, the developer received permission to be the first in line when the office cap is eventually lifted as part of DTPP2. They will then be allowed to convert the 2nd floor retail over to office space.